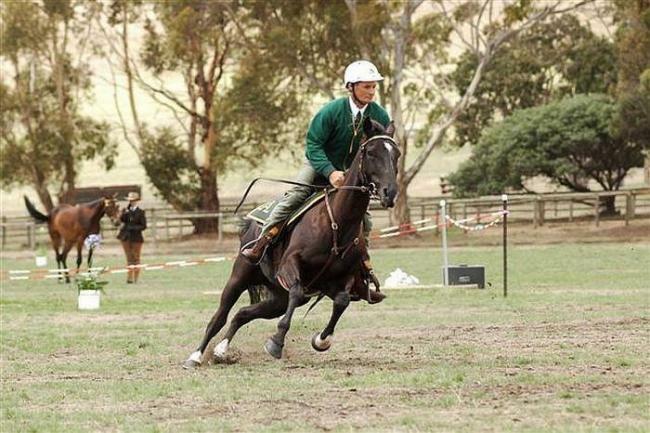 An ASH Challenge is usually run over a number of sections, with prize money and ribbons awarded to the winner and placegetters of each section. The committee conducting the event will be responsible for selecting which sections will be contested. A minimum of two sections must be contested. Hack, Working, Time Trial and Cattle Work sections are commonly used. Scores from each section are added together, with the exception of the Time Trial score, which is deducted from the total score to give an overall score. The iconic Australian Stock Horse is able showcase their elegance, versatility and skill in the ever popular Challenge. Time Trials were introduced into Australian Stock Horse competition to add more spectator and rider action into their Futurity (3 years), Maturity (4 years) and Open Challenge competitions. The Time Trials have grown to be one of the most exciting and popular elements of Stock Horse events and results from the trials are the deciding factor in some competitions.